Rural apartment, 1 bedroom, 1 bathroom, 1 sofa - double bed. 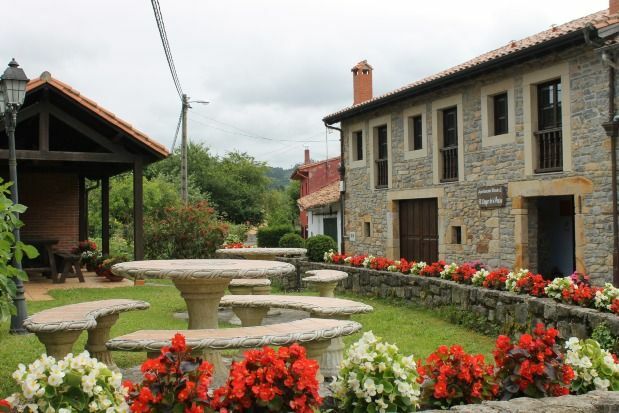 Rural apartments located in the Comarca de la Sidra, in the center-east of Asturias. We have fully equipped apartments very close to the beach of Rodiles (Villaviciosa) with capacity to accommodate 2, 4 people each. - The apartments are equipped with a bathroom with a bathtub - Fully equipped kitchen: (ceramic hob, washing machine, microwave, fridge, etc.) - Living room, with sofa convertible into a bed of 1'50 and a room in a loft made entirely of hardwoods - Free WIFI and TV with Internet access. - Next to the apartments we have a grocery store open every day of the year from 8am to 9pm. - In the village there are two bars - restaurants with traditional Asturian cuisine and tapas at good prices. We are located near the best natural beach of Asturias (Rodiles) and five minutes from the Cantábrico highway, so in short trips you can visit any part of Asturias.